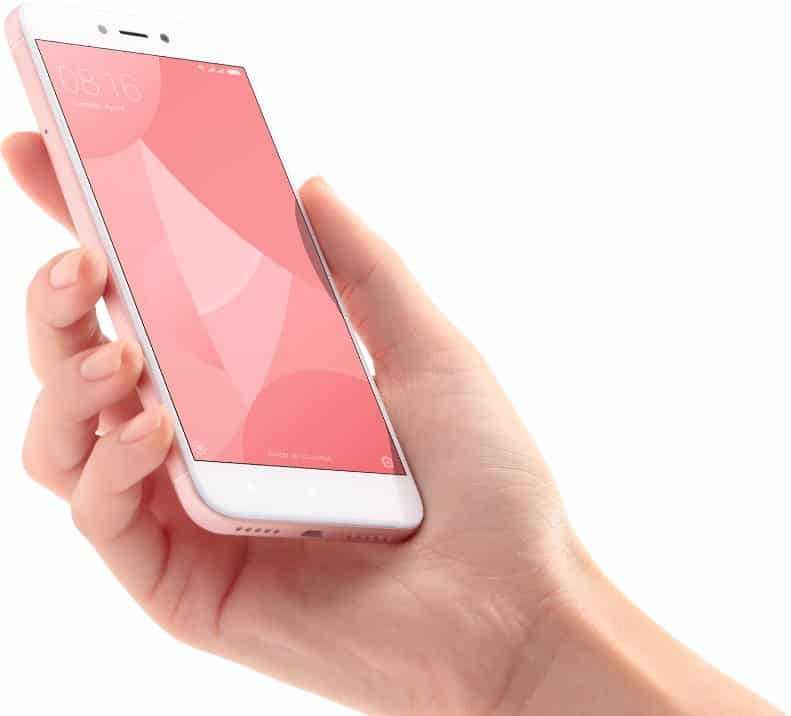 While it may not have the influence of Apple, Samsung and Huawei in most parts of the world, Xiaomi (often stylised as Mi) has been doing very well in their local Chinese market and the brand has taken quite a few steps to expand globally. Thankfully for us, South Africa is one of those countries on the global expansion project, with the company even selling directly off their local website (although with limited variety), something many other OEMs don’t do much of here. In the last year or two, Xiaomi has slowly added more devices to their growing catalogue, with an impressive 13 launched this year already. Back in February, they launched two phones at an event, the Mi 5c and Xiaomi Redmi 4X. Although it’s known outside of the Chinese market as the Redmi 4, we have the Xiaomi Redmi 4X for review today. The device falls somewhere between the budget and mid-range smartphone. Although, with today’s pricing, it’s probably safe to pen it down as the former. Xiaomi has been making a good name for themselves of late, much as how Huawei endeared themselves to the South African market only a few years ago. There are many who may still be wary of the brand and its lineup of devices, so I hope that the review may dispel some of those fears, while also showcasing one of the more popular smartphones it has available. The Redmi 4X takes on a familiar feel, resembling quite a number of Android smartphones before it. In fact, there’s also a touch of HTC in the design, which says quite a lot given that the OEM is the current manufacturer of Google’s Pixel range (alongside a few LG devices). The device definitely doesn’t look like your run-of-the-mill budget smartphone that will seemingly fall apart just by looking at it. I received the matte black unit for the review, which had quite a nice feel in hand, a familiar feel of previous flagship phones in 2011 and 2012. While there are a few plasticky bits here and there, most of the rear is made up of quality, brushed aluminium. This also doubles as a coolant for the device, more so than many other glass and plastic units. The metal rear panel is flanked by a plastic (polycarbonate) top and bottom, which also doubles as the antennae reception. The rectangular shape is broken by the very rounded corners, which is more pronounced than other Android phones in the S8 and the likes and has a look similar to the iPhone X. The unit also curves around the rear to the side panels, which makes for a better grip in hand. The unit weighs 150g, which is reasonably light, and surprisingly so for a device on this end of the scale. In addition to this, while only 5g lighter than Samsung’s S8, it feels a slight bit lighter, which is due to a more balanced feel thanks to the wider and shorter frame, and a much smaller screen size. The device measures 8.7mm in thickness, this compared to the S8’s 8mm and the iPhone X’s 7.7mm. Fairly respectable at all levels. There are very few noticeable bumps and the likes as a result of buttons and shortcuts, with only the volume rocker and power buttons on the right-hand side. There are two speaker grills on either side of the microUSB port at the bottom, with a 3.5mm auxiliary port on the top with an infrared sensor in the middle. The rear is also very minimalist. The “mi” logo is featured in the centre towards the bottom, with the fingerprint sensor towards the top of the aluminium cover. The camera and flash are positioned right on the top left, on the plastic portion, which protrudes ever so slightly as a result of the small curvature of the plastic as it tapers off towards the end. Overall, the build and design are very good and quite impressive. Although I wouldn’t go as far as to call it premium, it is quite solid. While the build and design may have surprised in terms of its quality and looks, the display is a little less impressive. The unit features a 5″ screen, which has an IPS LCD panel, with a below par 720x1280px with a pixel density of 294ppi. The unit also has a 70.7% screen-to-body ration, which, again, is very reasonable. The screen has contoured edges (2.5D [https://www.androidauthority.com/what-is-a-2-5d-screen-611258/]), although not that much, but does enough to avoid any sharp edges. The unit is also protected by Gorilla Glass, although it’s unspecified which version. The picture is bright and the colours are also good. The 720p resolution does make for a smidge of pixelation on the 5″ panel, but only if you look close enough. The panel also handles direct sunlight but is also prone to fingerprint smudges, which makes viewing difficult in highly reflective lighting conditions. The Redmi 4X features Qualcomm’s Snapdragon 435 Octo-core chipset, which has a 1.4GHz clock speed and coupled with an Adreno 505 GPU. The chip was launched alongside last year’s flagship Snapdragon 625, but performs well in comparison. When comparing the benchmarks side by side between the two chipsets, there’s not a lot to choose between them given the status of each. At the price and efficiency, in the end, the 435 offers more power for price than the 625. In real-world situations on the 4X, the unit was fairly capable and ran very smoothly throughout. The performance dropped off a tad for more power-intensive applications and games. The remaining specs feature 4GB RAM, although there are options for 3GB and 2GB variants too. Battery life on the unit was nothing short of amazing. Xiaomi has bolted on a 4100mAh battery within the frame, one of the more important highlights and key features on the phone. During testing, the unit had quite a mixed set of results, however. When used under heavy load, the results were average, but with low to normal workloads, the unit impressed with hours of life between charges. For day-to-day usage, which included calls, emails, chats and a few games, I was able to eke out well over a day on a single charge and, on occasion, could easily last around 40 hours. Charging it to capacity one morning could see you manage two full days at the office. The device also has Qualcomm’s Quick Charge 3.0, which fully charges in under 3 hours, while also providing around an hour or two of battery life from 10 minutes of charge time. Interestingly, the Redmi 4X also includes 4G support (although restricted to 2G for calls only), as well as VoLTE capabilities, along with a secondary SIM. Again, quite a set of impressive results on the whole, with many up to standard features to boot. When you think of a budget smartphone, the camera is probably the lowest performing hardware thrown in simply because of necessity in modern times than paid any thought towards. 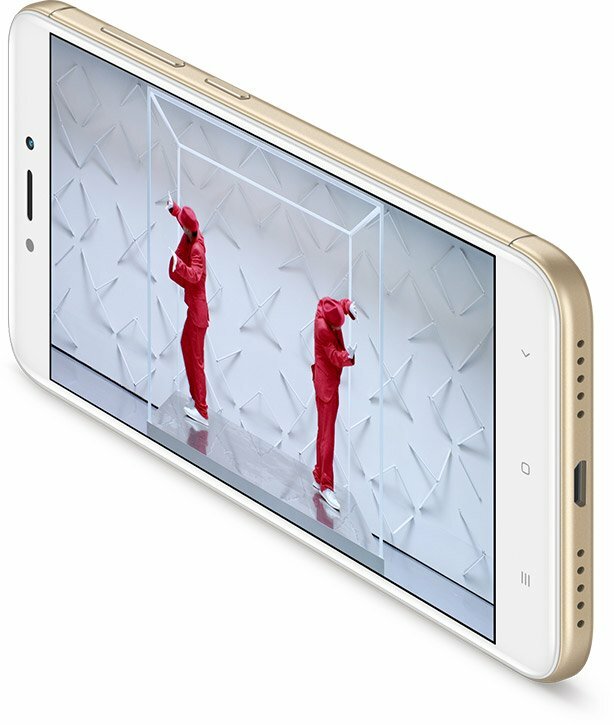 The 4X comes with a 13MP rear-facing camera with f/2.0 aperture, PDAF and LED flash. The PDAF capabilities (Phase Detection Autofocus) makes for responsive autofocus and image processing when you quickly want to take a snap. I didn’t expect much more than good to average photos as an end result, but, even with the quick snaps, the image quality was good. In bright daylight, photo quality was very good as well, and only suffered every so often with reflection due to the position of the light source. Switching to low light conditions, the camera wasn’t able to deliver quite as impressive results, although the photos are still useful for what it’s worth. It is also worth reminding you again at this point that this is a budget smartphone, already punching above its weight. When it comes to the software, the Redmi 4X offers a good build of the Android OS. While it may only be running Android OS 6.0.1 Marshmallow, the MIUI UI is well-balanced and feels extremely lightweight, while also running very close to a vanilla build. I enjoyed the animations and transitions of the UI, as well as the bouncy feel when reaching the end of a list, or switching between lists, etc. I didn’t much care for the single front-end flow, as I have always preferred the app drawer. The home screen also doesn’t have the built-in feed, which has become the norm lately, swiping left to reveal a host of additional options, notifications and the likes. It’s more surprising that the build didn’t allow for a switch between home screen modes, especially when you consider the other host of options at your disposal. Overall, the software is quite impressive, to say the least. There are a few gimmicky features and bloatware as well. While Xiaomi devices may not be offered across operators (only Vodacom) and main retailers, there are quite a number of places you’re able to get your hands any of their devices, including their own online site. 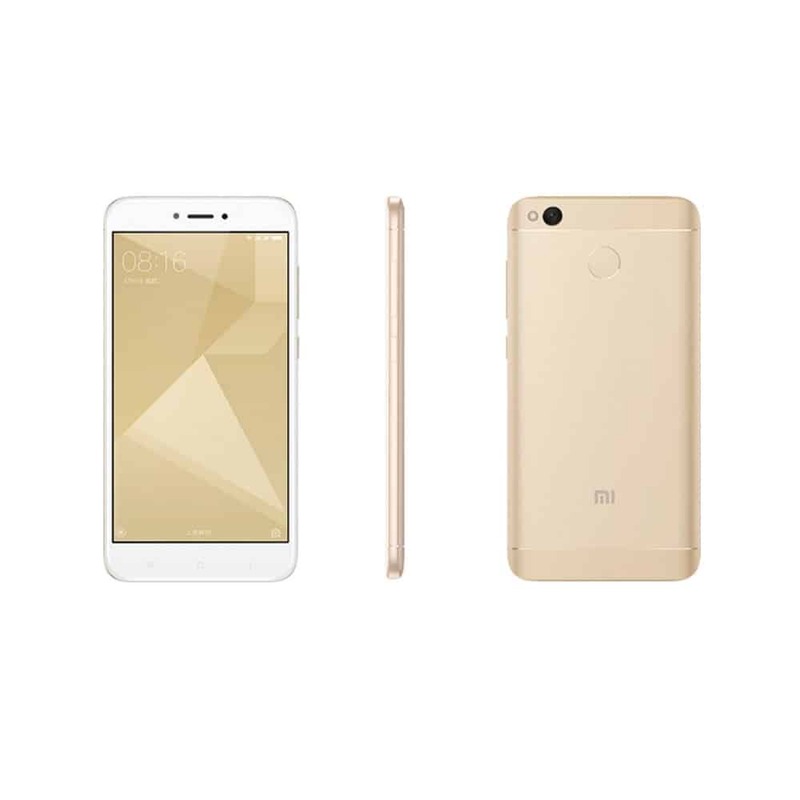 Unfortunately, the Xiaomi Redmi 4X isn’t available on the South African site, but there are still numerous options on Gearbest.com (which sells for around the R2,000 mark). For a feature-packed smartphone which this is, the Redmi 4X is one of the best buys of 2017 when you consider the price versus capabilities overall. When you consider it, you could buy around 10 of these, along with some airtime to boot, before reaching the cost of the iPhone X. That says something about the build cost. If you’re in the market for a budget smartphone with very good capabilities, the Redmi 4X is undoubtedly the choice to go with right now. That said, Nokia is rebuilding the brand with the same kind of characteristics and cost, which makes for good competition ahead. Follow me on Instagram to stay up to date with the latest news, drops and additional information. The device falls somewhere between the budget and mid-range smartphone. The Redmi 4X takes on a familiar feel, resembling quite a number of Android smartphones before it. In fact, there’s also a touch of HTC in the design, which says quite a lot given that the OEM is the current manufacturer of Google’s Pixel range (alongside a few LG devices). The “mi” logo is featured in the centre towards the bottom, with the fingerprint sensor towards the top of the aluminium cover. Thankfully for us, South Africa is one of those countries on the global expansion project, with the company even selling directly off their local website (although with limited variety), something many other OEMs don’t do much of here. If you’re in the market for a budget smartphone with very good capabilities, the Redmi 4X is undoubtedly the choice to go with right now. In real-world situations on the 4X, the unit was fairly capable and ran very smoothly throughout. Overall, the build and design are very good and quite impressive. I’m yet to see the phone live, but on paper this seems like a pretty decent phone. I think I will get myself 1 of these babies for Christmas/ birthday gift. It’s really quite nice actually. The only real thing I’m weary of is how the battery fairs over 12-24 months. the Redmi 4X is one of the best buys of 2017 when you consider the price versus capabilities overall. For a feature-packed smartphone which this is, the Redmi 4X is one of the best buys of 2017 when you consider the price versus capabilities overall. While it may only be running Android OS 6.0.1 Marshmallow, the MIUI UI is well-balanced and feels extremely lightweight, while also running very close to a vanilla build. Battery life on the unit was nothing short of amazing. The unit weighs 150g, which is reasonably light, and surprisingly so for a device on this end of the scale. The device falls somewhere between the budget and mid-range smartphone. Although, with today’s pricing, it’s probably safe to pen it down as the former. Does this phone only support 2G networks for calling when using the first sim or is it for both sims? I have one of these which I bought through Banggood. Probably because it is a Chinese company, it has a lot of Chinese text in the operating system instructions and apps which at this time I have not found any way of accessing. I am talking to the suppliers about this but have not had a lot of success yet. Does anyone have a way of translating all this to English? You may be able to change the language in the settings menu. It may prove a little tricky with some trial and error. I would suggest browsing for some information on the menu structure to map out where you need to go.